This summer, four dozen high school students (selected from nearly 150 applicants) took part in the 11th annual KEYS program--one of the state's premier pathways for developing STEM skills in pre-college students. The seven-week free program, which concluded on July 21, drew from a cross-section of southern Arizona high schools, in addition to schools in Tuba City, Scottsdale, Phoenix, Tempe, Chandler, Glendale and Cave Creek. KEYS began with nine interns in 2007. 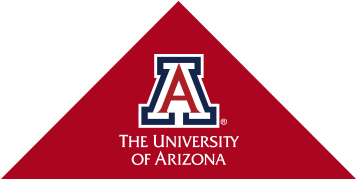 The program has now seen 378 Arizona teens — at least half of them from backgrounds traditionallly underrepresented in science careers — complete internships in bioscience, biomedicine, engineering, environmental health or biostatistics and contribute to ongoing research projects across the UA. Students receive three academic credits for their participation. During the course of the KEYS immersion program, interns train in bioscience techniques and communication skills and perform hands-on scientific research, working side-by-side with faculty and postdoctoral and graduate students on projects being conducted in UA labs. At the close of the program, the interns present what they have learned to friends, family and the academic community at a public research showcase. KEYS alumni data show that of those who are now college age, 54 percent currently attend the UA. Of those students, 83 percent are pursuing a STEM-related degree. To learn more about KEYS impact on students, click here.